SYRIA WATCH-EXPOSED! 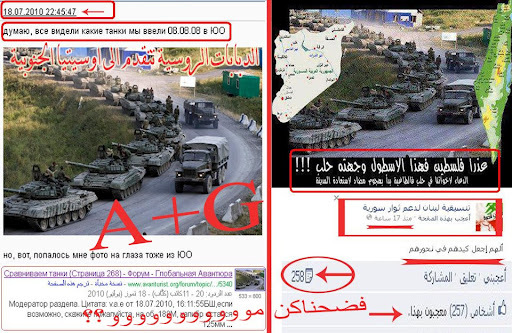 WESTERN PRESS CLAIMS OF RUSSIAN TANKS INTO ALLEPO,ARE RUSSIAN TANKS ON THE WAY TO SOUTH ASSETIA!!! Western press portrayed these photos as Syrian tanks moving into Aleppo, when in actual reality, it’s Russian made tanks on the way to South Ossetia, how many lies do the West have to portray in order to demonize Bashar Al Assad and Syria?.